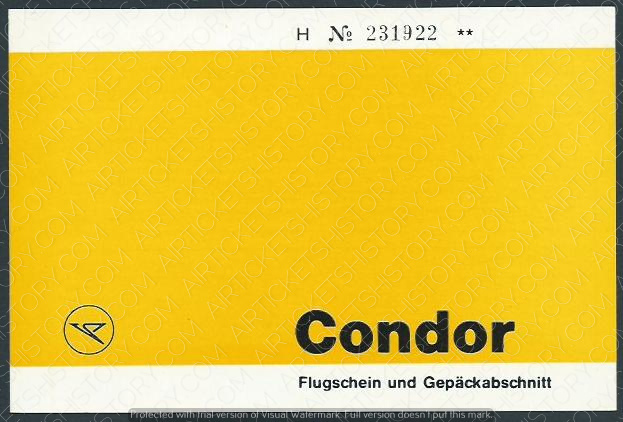 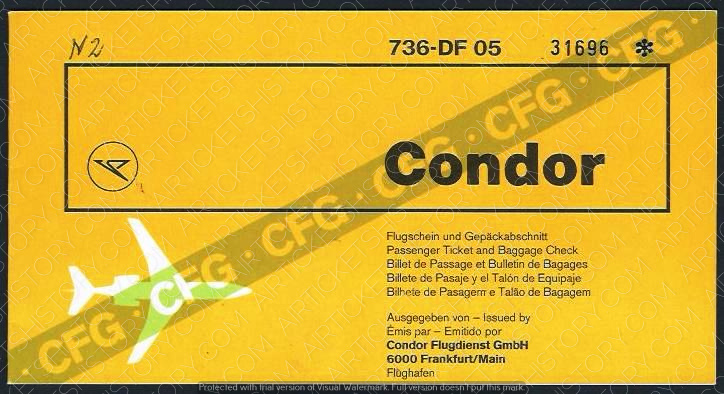 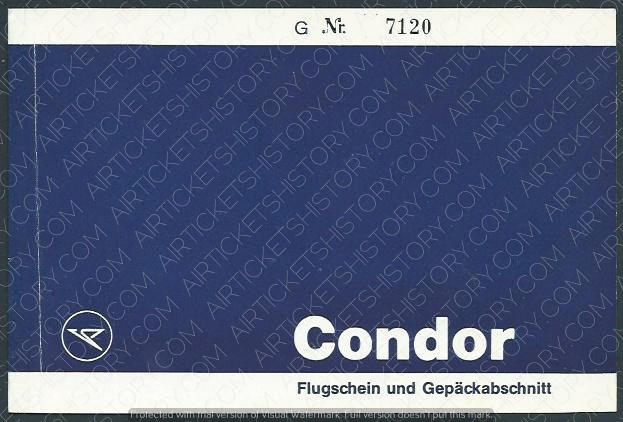 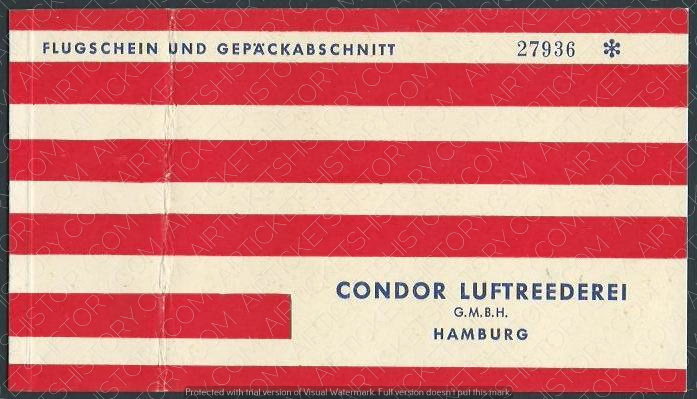 HISTORY: CONDOR was founded on 21 December 1955 as Deutsche Flugdienst GmbH. 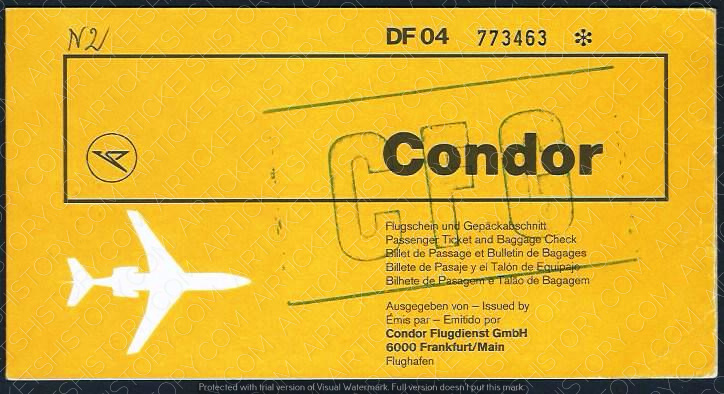 Scheduled flight operations were launched on 29 March 1956 with a pilgrimage flight to Israel. 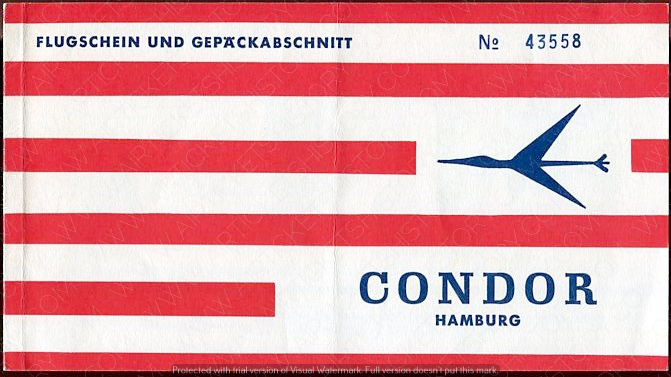 In 1959, Lufthansa took over 95.5% of the stake, thus creating its first post-war subsidiary.